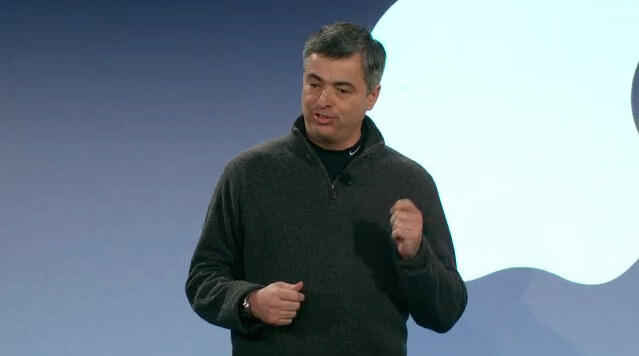 It appears that Apple’s new CEO Tim Cook has made his first major structural executive change at the company, promoting Eddy Cue – the man behind the company’s online store and iTunes Music service – to Senior Vice President of Internet Software and Services, a incremental rise up the ranks from his previous position as Vice President. Please join me in congratulating Eddy on this significant and well-deserved promotion. I have worked with Eddy for many years and look forward to working with him even closer in the future. Tim. Apple has been quick to update Cue’s public bio page, adding that he will now be tasked with helping push the company’s iAd and iCloud platforms, whilst continuing his work on iTunes services. On Wednesday, we reported on Cue’s response to an Apple developer wanting to know when Apple’s iTunes Match features would be available in Canada. Cue, a key member behind the the new service, was forwarded the email by Cook, quickly pointing out Apple would make iTunes Match available in the country shortly after its U.S launch.